Missing defects in production can be very costly for manufacturers – in time, money and your reputation with customers. Find defects where they occur with sigPOD, a process monitoring platform that makes the industry’s most advanced use of digital process signature technology. Watch this short video to learn more about how sigPOD can help you meet your Manufacturing 4.0 goals. 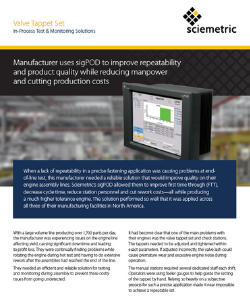 Find out how this engine manufacturer used sigPOD to improve first time through (FTT), decrease cycle time, reduce station personnel and cut rework costs – making the decision to apply the solution across all of their North American plants. 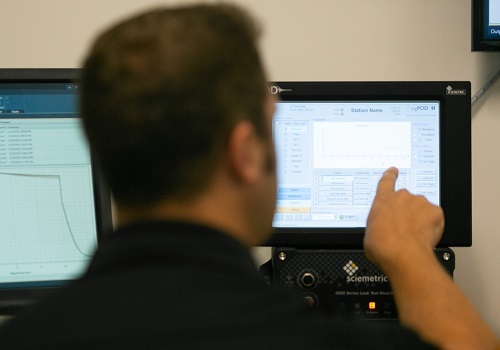 Finding the right limits for your in-process tests is critical to achieve the highest production yields and minimize, as much as possible, the risks of defective parts slipping through. 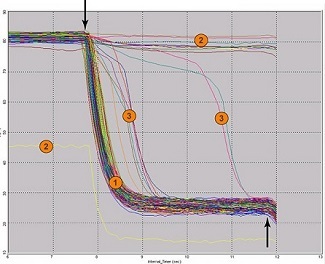 Find out how sigPOD technology (digital process signatures and waveform overlay) enabled a manufacturer to use the data from a crucial test operation and establish the right limits, much faster. sigPOD delivers real-time pass/fail feedback for virtually any critical-to-quality manufacturing process on the production line. From crimp and dispense to torque, weld and more, even the subtlest problems can’t hide from sigPOD.